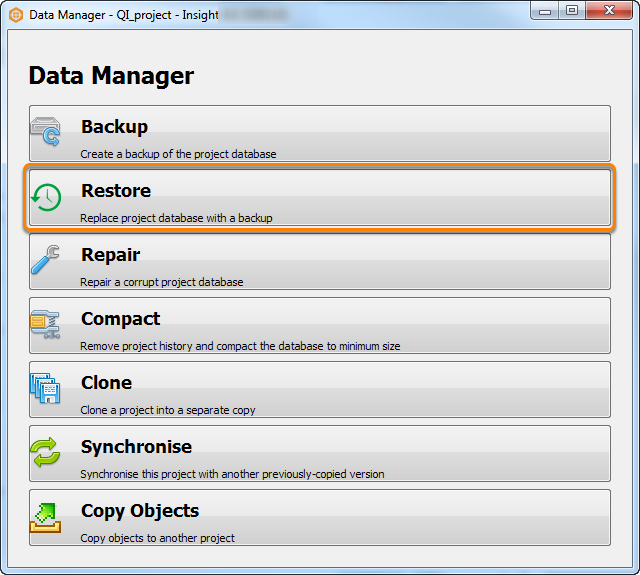 Data Manager now provides an easy way to restore your project database. If there is a problem with the current version of the project, you can choose to replace the database with a backup that you previously created (see Backup a Project). Note: In Insight 3.1, if your database is corrupted, Insight will disable access to the database until the project is fixed. This is to prevent any further database corruption, and prevent Insight from generating backups of the corrupted project. If you wish to restore your project using a backup, navigate to the project folder, remove the DATABASE_ACCESS_DISABLED file and follow the instructions below. Launch the Data Manager (see Launching the Data Manager). 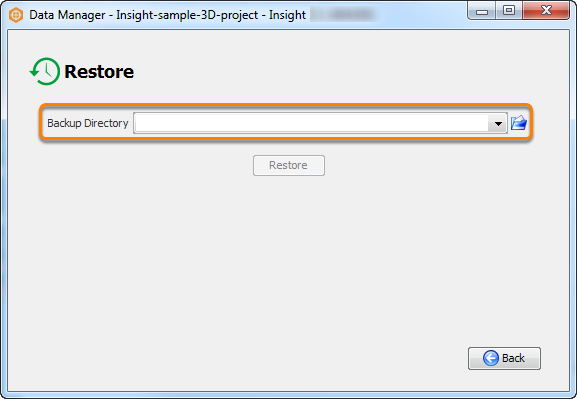 In the Data Manager window, click Restore. Note: The project you open in the Insight Launcher will be the project that you want to restore. Click on the folder icon to the right of the Backup Directory field. Browse to the project directory where the backup of your project was saved. Click Open. 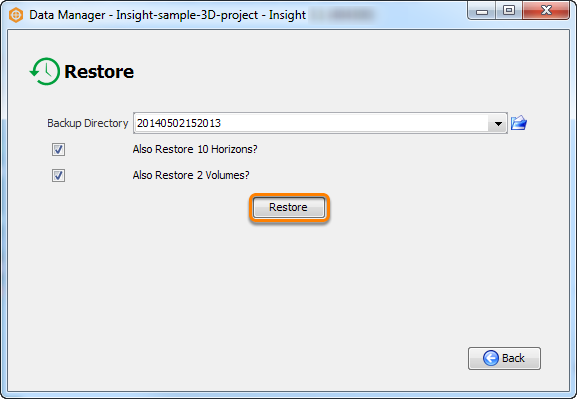 Select the Also Restore X Horizons/Volumes check boxes to include all the horizons and volumes from the backup project. When you are ready, click Restore to replace your project with the backup. A notice will appear to confirm that the restore has been successful.